Have you been doing research on Components Mart located in Hong Kong sells Convertisseur DC? If so, read on below to read one buyers experience when trying to buy Convertisseur DC. At the bottom of this page you will find helpful links to find out more information about this company here on SupplierBlacklist.com as well as across the web using Google. I’ve placed an order for ten Vicor items under ref V28C24M100BG further to a quote of Mase Lee. The material was in stock, we’ve paid by advance in USD by the beginning of February 2019. After that, no news despite all my mails. Do not buy anything from this web site. In a general matter, take other information about the seller before giving cash to a new overseas company. 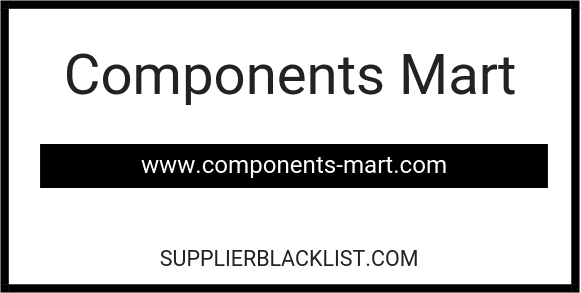 Perform a Supplier Blacklist search for more reviews on this company. Search Google for more reviews.